Have you ever felt like your creative freedom is stifled by your work environment? That you have no time for creativity in your work because you are constantly managing and maintaining your business? One emerging business owner successfully crafted a solution. Madison Whiteneck is the mastermind behind Keeping the Creativity, a business that manages busy work for companies so business owners can get work on what matters. They can get back to creativity. 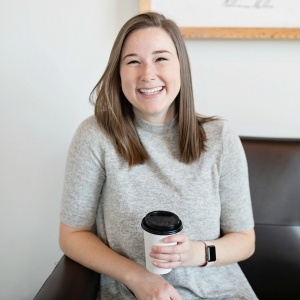 Whiteneck graduated from Samford University in 2016 with a degree in journalism and mass communication and has turned her combined passions for creativity and organization into a business. Her vision is to provide local creatives with services such as social media, product launch, inbox management and large-scale writing pieces. She achieves this through virtual assistant services, or management of the “little things,” which normally occupy the visionary’s brainpower and time. Keeping the Creativity also provides freelance services including InDesign work and editing. The services range from daily assistance to passion projects. When Whiteneck is not busy planning her own life, she is at work planning the lives of others. Her new website launched this month, and her network of creatives continues to grow. In Whiteneck’s business venture, it pays to be creative. Here is a conversation with Whiteneck about how her ambitious idea helped launch Keeping the Creativity. Where did the idea for Keeping the Creativity originate? Keeping the Creativity originally started out as a blog. My 9 to 5 job right out of college was pretty limiting to my personal creativity and I wanted to “keep the creativity” alive, so I started blogging. I wrote about everything from DIY’s to local coffee shops and my latest favorite outfits. I offered freelance services at the time so I started to feature more of my projects on my website as well. When I left my first career job, interest in my blog turned business grew a lot so I started taking on full time clients and more freelance projects. What is the most challenging part of starting your own business? Finding and landing new and exciting clients. Having a local creative network has helped me a ton in gaining projects that I am excited to work on, but I always want to keep extending that network as much as possible. It takes a lot of work to reach out to others and turn it into business. Most of the time when I reach out to other creative, it just starts as a mutual interest in a project or idea and then it turns into a collaboration or working together, which I love. What is a valuable lesson you have learned since starting Keeping the Creativity? Don’t let other people’s negative opinions discredit your hard work. I have put in a lot of time and effort into building my business and I understand there can be a lot of competition out there, but I have to just be myself and do the best with what I’ve got. What is your advice to someone dreaming up a large-scale business idea? Take a serious look at the time you can devote to your idea. Also, look at your finances because you have to invest a lot in the beginning. This past year, I invested almost half of what I made into my business, but it has paid off. In the first two months of 2017, my income has already equaled all of what I made last year with Keeping the Creativity. What is your vision for the future of Keeping the Creativity? I would love to work with more creatives to help them execute their big brand ideas. It would be great if Keeping the Creativity could evolve into a creative consulting agency. Who knows?! I am keeping the door open on those aspects for the future.